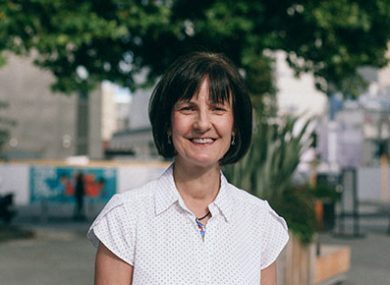 Originally from the UK, I have made Christchurch, NZ home for the past 18 years, and have two teenage children. I am a qualified Certified Accountant and have worked in a range of different companies in the UK and NZ. I have worked at Brannigans since 2006, originally as a Management Accountant, and more recently as the Commercial Manager. I look after all the financial and general accounting activities of the company, and have responsibility for ensuring the IT systems, contracts with suppliers, taxation obligations, company secretarial duties, and relationships with the accountants, are maintained and kept up to date. I am very lucky to work at Brannigans, and being part of such a great team. We have a work hard, play hard ethic. We are located in an awesome office space in The Registry Building, part of The Arts Centre, which was renovated extensively following the February 2011 earthquake. Outside of work, we seem to run a taxi service for our teenagers getting them to their relevant sporting activities of netball and waterpolo! We do a lot together as a family, such as traveling overseas and around New Zealand, making the most of weekends and our annual leave!